Our Super 9 promotion keeps getting better! Play Slots or Tables weekly and earn entries to stand a chance to win R3,000 in Cash and FreePlay or the progressive jackpot. Head to the Ehost and print your voucher every Monday morning from 09h00 – 10h25 to claim your tickets at the Customer Service Desk. On month end Mondays you can double your winnings! That’s right, every last Monday of the month you can win twice as much the prize money. So don’t miss out, it’s great fun and greater rewards. Super 9 Progressive Jackpot will start off with R2,500 cash base value. If there is no winner within 18 consecutive spins however, the Super 9 progressive value will be increased with R500 in readiness for the next Super 9 session, 7 days later. The Tables staff member will continue spinning the ball until such time that an entrant then announces that he/she has 9 matching numbers. Only after positive verification by the Tournament Director of the entrant’s claim, will the Super 9 Prize of R2,000 cash and R1,000 in casino FreePlay be given to the winner, and it will be the end of the day’s promotion. If not won, the jackpot will continue incrementing by R500 after each Super 9 session until the last Super 9 draw. Should an active cardholder win the jackpot (2000 points earned in a 12 month rolling period), they will get an additional R2,000 in cash. Super 9 small scale promotion will take place every Monday from 10h30. Goldfields Rewards cardholders must earn a minimum of 60 points in order to receive 1 ticket. For every 100 additional points earned during the earning period members will be issued with an additional ticket. Earning period of the promotion will be on a weekly basis. Super 9 earning period will start on the first Monday of the week until the next Monday 04h00 to qualify for a ticket. A maximum of 4 tickets can be earned weekly. Members will print their super 9 vouchers at the eHost and provide the voucher at the Customer Service Desk on Monday morning before 10h25 to get their tickets. Once Super 9 vouchers are printed, there won’t be any reprint. Tickets will only be issued between 09h00 and 10h25. The running of the promotion will begin immediately after the 10h25 cut-off time. Each promotion will run until such time that an entrant has 9 different numbers on his entry ticket which match the numbers which the ball has landed on within 18 consecutive spins (to win the Super 9 progressive jackpot), or until such time that an entrant has achieved 9 different numbers on his entry ticket within more than 18 consecutive spins which match the numbers which the ball has landed on (to win the Super 9 Prize of R2,000 in cash and R1,000 in casino FreePlay). All cash prizes will be issued by means of a promotional slot short. It will be the entrant’s responsibility to announce that he/she has 9 matching numbers as soon as the ball has landed on the last required number. Any announced win will first be verified by the Tournament Director by comparing the entrant’s section of their entry ticket against the recorded results, as well as against the verification section of their entry ticket to ensure that it is a legitimate win. If any difference in number selection exists between the two sections of the entry ticket or if it is discovered that more than 9 numbers have been selected, the entrant’s claim to a prize will be regarded as invalid, and he/she will be disqualified from that day’s promotion. The promotion will then continue as normal. 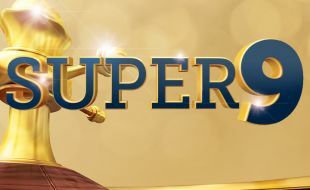 If more than one entrant announces after the completion of a spin that they have 9 matching numbers, and which have then been verified by the Tournament Director to be legitimate claims, then the Super 9 progressive jackpot (if achieved within 18 consecutive spins) or the Supery 9 Prize of R2,000 cash and R1,000 in casino FreePlay (if achieved after 18 consecutive spins) will be shared equally between them. A key licensed Tables staff member or Promotions Coordinator may be appointed as the Tournament Director, and another Tables staff member will perform the duties of spinning the ball in the Roulette wheel in accordance to our existing Roulette Procedures. The ball is physically obstructed by a guest, or by an obstruction placed onto or into the wheel. A “no spin” will not be counted as a spin. After a “no spin” has been declared, the Dealer will place the ball back onto the last winning number, and will re-spin the ball. After each valid spin the Tables staff member will announce the number that the ball has landed on, and simultaneously place the dolly on this number on the table layout. The result will be verified by the Tournament Director. Any number which has already been spun will simply be disregarded after the Tournament Director has verified this. The spin will not be counted, but the ball will still be spun from that number. The Tournament Director will record all winning numbers of valid spins on a notice board visibly positioned within the immediate area of the Roulette Table, each time that the ball has landed and after the winning number has been verified. The Super 9 progressive jackpot value will be announced as well as visually displayed in close proximity to the area in which the promotion is being run – on either a banner or an electronic display. If an entrant has correctly selected 9 numbers which match 9 winning numbers within 18 consecutive spins, the winner will receive the full value of the Super 9 progressive jackpot as it was when the promotion began on that day, and it will be also be the end of the day’s promotion. If there is no winner within 18 consecutive spins however, the Super 9 progressive value will be carried over to the next weeks draw. The Tables staff member will continue spinning the ball until such time that an entrant then announces that he/she has 9 matching numbers. Only after positive verification by the Tournament Director of the entrant’s claim, will the Super 9 Prize of R2,000 cash and R1,000 in casino FreePlay be given to the winner, and it will be the end of the day’s promotion. If not won, the jackpot will continue incrementing by R500 after each Super 9. All prizes will be issued by means of promotional slot shorts. Any entry ticket found during the running of the promotion to have different numbers on the two matching sections of the ticket, or more than 9 numbers will be declared invalid and the entrant will be disqualified from that specific day’s promotion. The onus will be on the entrants to announce that they have 9 matching numbers as soon as the last matching number has been spun. Either intentionally or unintentionally delaying the announcement until a further spin may result in them possibly having to share the prize with another entrant instead of winning the complete prize. Similarly if an entrant mistakenly fails to notice and announce that he/she has 9 matching numbers before the 19th spin has occurred, and then only realizes and announces it afterwards, then only the Super 9 Prize of R2,000 cash and R1,000 casino FreePlay will be awarded upon valid verification of both sections of the entrant’s ticket. Goldfields Casino Rewards cardholders must earn 60 points in order to receive 1 ticket. For every 100 points earned during the earning period members will be issued with an additional ticket. Vouchers will be printed from the eHost and must be handed to the Customer Services Desk at the entrance to the gaming floor in order for the players to receive a Super 9 ticket. Once the vouchers are printed (Super 9 vouchers), there won’t be any reprint, therefore the Casino won’t be responsible for any lost vouchers. Tickets have a verification section. One part of the ticket will be kept by contestants, while the other handed to Tournament Director/Customer Service desk. The roulette wheel will be used to spin for numbers. The first person to have all 9 of their numbers called will be declared the winner. If these 9 numbers are achieved within the first 18 spins, the contestant wins the progressive jackpot. The progressive jackpot will start at R2,500 and accumulate by R500 after every Super 9 session until it is won. Base value will then return to the base value of R2,500. If the required 9 numbers are achieved after 18 spins the contestant will win R2,000 cash and R1000 in casino FreePlay. If a number is repeated during the course of the game (double spin), subsequent spins will be disregarded in respect of the progressive jackpot. If more than one person wins a Super 9 simultaneously, the prize money will be divided equally amongst the winners. Persons who acquire more than the advertised amount of tickets from the Customer Services Desk will be disqualified from the game. It is the players’ responsibility to choose 9 numbers between 0 - 36. Should an active cardholder win the jackpot(2000 points earned in a 12 month rolling period), they will receive an additional R2,000 prize money. Numbers that cannot be verified will cause the ticket to be deemed invalid. Players must ensure that their numbers reflect on the duplicate copy and are legible. It is the players’ responsibility to tick their entry ticket and shout “Super 9”if all nine numbers on their ticket have been called. Only number 0 – 36 may be on the ticket. Players may not fill the same number twice on their ticket. Any changes to the numbers prior to the game starting must be signed off by the host on duty. No person under the age of 18 is allowed to Gamble or participate in this promotion. Any person who has been issued with a Refusal of Entry order, who is self-excluded, or who falls into the category of excluded persons is expressly prohibited from participating in this promotion. The promotion is closed to any persons who are directors, members, partners, employees, agents or consultants of or any other person who directly controls or indirectly controls or is controlled by the company or marketing service providers, or spouses, life partners’ business partners or immediate family members. Any person deviating from the promotional rules will be disqualified. If any rules are found to be void, invalid or unenforceable for any reason, the remaining rules shall remain in full force and effects. By entering this competition entrants accept and agree to abide by the rules, terms and conditions that apply. Prizes are not transferable and cannot be exchanged for cash unless otherwise advertised. Prize winners must sign for receipt of prizes. All decisions are final and binding and no correspondence or appeals will be entered into, in an event of a dispute the Free State Gambling and Liquor Board may be approached. The FSGLTA will be informed of unresolved disputes, subject to the provisions of the Consumer Protection Act. Any complaint and/or dispute can be lodged to the FSGLTA.